Sleek and modern with a touch of DIY, this simple yet elegant guest book alternative will make a statement at your wedding or on display in your home afterwards. 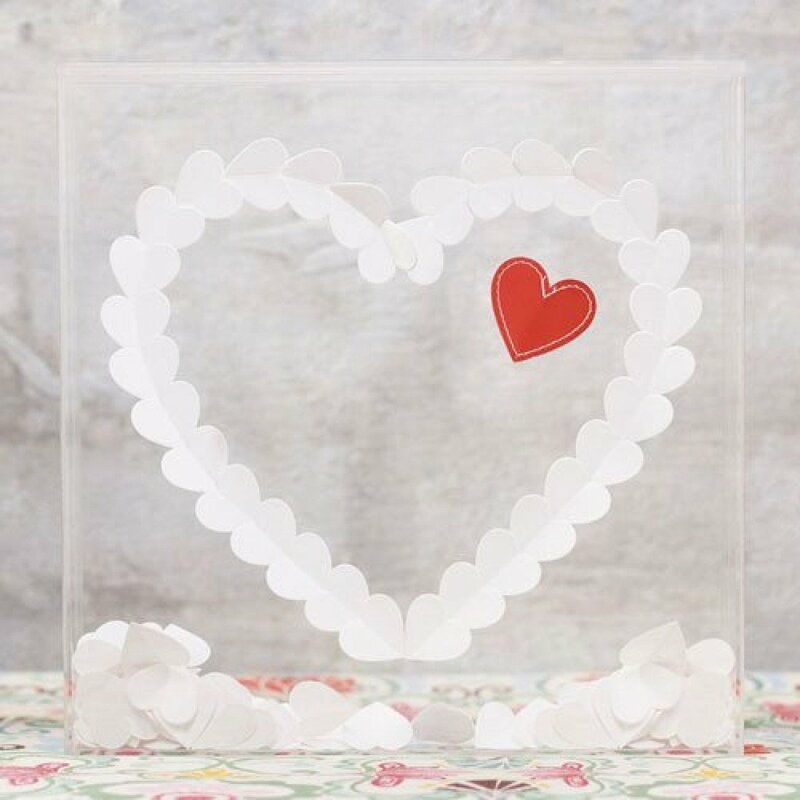 Guests are asked to sign their names on the die cut hearts provided and place them into the shadow box at your reception. The signed hearts will help in creating a unique piece of art that you will enjoy for years to come. Plan to display on a shelf, mantle or hung on a wall in a special location in your home.